From the 16th of January, large sections were closed off Abeckett and Franklin Streets in the CBD, with no plan to re-open them for many years. This is for the purpose of starting in earnest the mammoth job of the Melbourne Metro Rail Tunnel, which will take to drilling underneath these areas in order to create the new CBD North rail station. Businesses in these areas will undoubtedly be affected by the ongoing works. Stores, community spaces and cafes/restaurants all reside in ABeckett and Franklin streets, and getting less footfall from being closed to traffic may have a negative effect. However the State Government has ensured that the closures are minimal and most businesses will be able to stay open during the majority of the works. Pedestrian access will also stay relatively free with detours being made around the construction site zones. The Melbourne Metro Rail Tunnel is due to be completed by the year 2026. As this is almost ten years away, city residents and commuters may have to get used to delays, noise disruptions and pedestrian bypasses. Along with street closures, Melbourne City Square shops nearby have been boarded up and cafe’s are being moved to temporary locations or closing down while the construction of the new stations takes place. 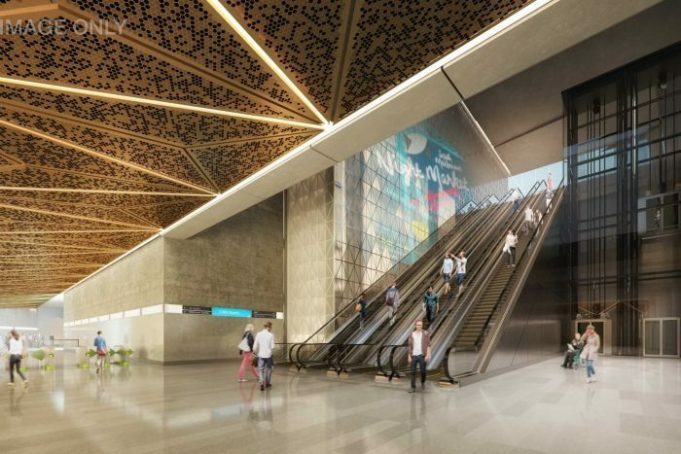 Five new train stations, an ambitious target for a ten year timeline, are being built throughout the city. Arden – in North Melbourne; Parkville – near Melbourne University; CBD North and CBD South, and Domain station in St Kilda. This aims to expand the city loop to double its current amount of stations to 10. Positively, there are a good amount of jobs being created by this project. Workers from all different sectors are needed across the board, and more and more long-term positions are being created every day. When completed, the rail tunnel will provide efficient public transport for a city that is projected to increase in residents by over 100,000 in the next 20 years in the City of Melbourne alone, with many more living in Greater Melbourne or commuting from other areas of Victoria.